Hello, my name is Hale Dwoskin. 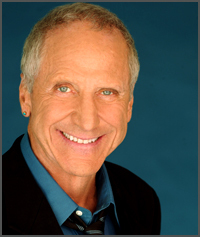 Almost three decades ago, I learned the Sedona Method from my friend, Lester Levenson, and my life has been forever changed. I have found success in every area of my life and I know that you will, too. Because of the successes I have achieved with this tool, I have dedicated my life to sharing this with you and everyone who has a sincere desire to change and improve their lives. This technique has already helped hundreds of thousands of people to tap this natural ability to let go of uncomfortable or unwanted emotions on the spot, including many people that you may already know. 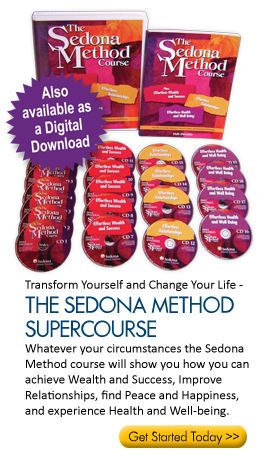 What makes the Sedona Method a powerful tool (that really works!) 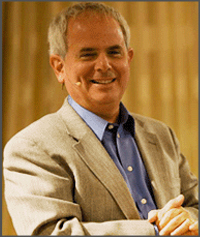 is that it is a process you can use anytime, anyplace, to improve any area of your life. Experience dramatic shifts in self-esteem and self-confidence that will improve your career, ignite passionate romances, create wealth, launch businesses, and much more . . . Enjoy deep feelings of inner peace that bring more joy and happiness to everyday life . . . Experience freedom from long-standing emotional challenges such as fear and anxiety, anger management, depression and emotional traumas . . .
Effortlessly find the courage to take massive action towards being, doing and having the most exciting things life has to offer . . . Put an end, once and for all, to the struggle to quit smoking, drinking, overeating and other impulsive, addictive, self-defeating behaviors. The Sedona Method is scientifically proven to be effective by respected institutions. In fact, many corporations have worked with Sedona Training Associates to create positive results for their companies and their employees. We have a long history of success. What can you expect from the Sedona Method? The Sedona Method is based on the power of feelings. Think about it. If you FEEL powerful, then you act powerfully. If you feel sad, then you act sadly. Your feelings define how you operate in the world. And, unless you change those feelings, you are going to act as you have always acted, and you will produce the results you've always produced. It is our limiting emotions that prevent us from creating and maintaining the lives that we choose. We abdicate our decision-making ability to them. We even imagine that our emotions can dictate to us who we are supposed to be. This is made apparent in our use of language. Have you ever said to someone, “I am angry,” or, “I am sad”? When we speak like this, we are saying to those around us and to ourselves, without realizing it, that we are our anger, or we are our grief. We relate to others and ourselves as though we are our feelings. In fact, we even invent whole stories of why we feel the way we feel in order to justify or explain this misperception of our identity. It is not that feelings don’t occasionally appear to be justified. It’s just that feelings are only feelings; feelings are not who we are—and we can easily let them go. Choosing to let them go frees us to perceive what is actually here, and to act, or refrain from acting, accordingly. This translates into an ability to handle life: to make stronger, clearer choices. It allows you and me to act in ways that support us in achieving our goals and aspirations, as opposed to sabotaging them. I have seen the process of letting go of the emotions grow into an ability to have more money, better relationships, more radiant health and physical well-being, and an ability to be happy, calm, and focused, no matter what is going on around us. If you've tried mental techniques, you know that it is very difficult to create a change. It requires massive energy and focus. It's a hard thing to do! But releasing operates on the feeling level. It's easy. You can "let go" of years of mental programs and accumulated feelings in just seconds using the Sedona Method's unique techniques. There are no complicated processes or reprogramming or affirmations to plaster all over your computer-screen. When an unwanted feeling comes up, you release it. That's it. With the limiting feeling out of the way, you are free to create any result you desire, whenever you want. I know there are a lot of people out there trying to sell a lot of programs (I've tried many of them myself). I can be as honest and as sincere with you as possible, and I am, but my words mean nothing unless this program works for YOU. 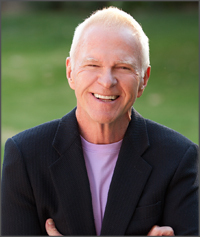 In short, the Sedona Method will show you how to enjoy living a happier, more productive, more satisfying, more loving and joyous life, even now. Because our world has changed so radically, knowing how to let go is a critical survival skill that we all need in order to maintain and expand upon the life that we may have taken for granted up to now. 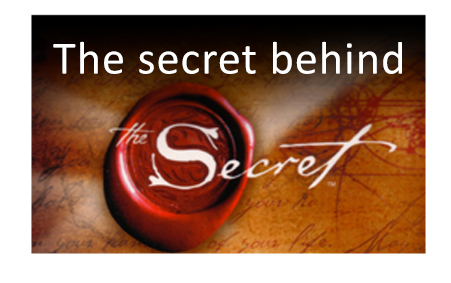 See a sample process of how the Sedona Method works. Have you ever watched a very young child fall down and then look around to see if there is any reason to be upset? When children think no one is watching them, in an instant they just let go, brush themselves off, and act like nothing has happened. The same child in a similar situation, on seeing the opportunity to get attention, may burst into tears and run to the arms of a parent. Or have you ever watched a young child get furious with a playmate or a parent, and even say something like, “I hate you and will never speak to you again,” and then, just a few minutes later, the child feels and acts as though nothing at all has happened? This natural ability to release our emotions was lost to most of us because, even though we did it automatically as young children, without conscious control, our parents, teachers, friends, and society as a whole trained us out of it as we got older. In fact, it is because we were unconscious of our ability to release that it was possible to train us to hold on. Every time we were told “no,” told to behave, to sit still and be quiet, to stop squirming, that “big boys don’t cry” or “big girls don’t get angry,” and to grow up and be responsible, we learned to suppress our emotions or express them inappropriately. Furthermore, we were often seen as an adult when we got to the point where we were good at suppressing our natural exuberance for life and all the feelings that others convinced us to believe were unacceptable. We became more responsible to others’ expectations of us than to the needs of our own emotional well-being. There is a joke that aptly illustrates this point: for the first two years of a child’s life, everyone around them is trying to get them to walk and talk, and for the next eighteen years, everyone’s trying to get them to sit down and shut up. By the way, there is nothing wrong with disciplining children. Children need to learn boundaries in order to function in life, and they need to be protected at times from obvious danger. It is just that adults can unintentionally go overboard. The balancing point and natural alternative to inappropriate suppression and expression is releasing, or letting go—what we call the Sedona Method. It is the equivalent of turning down the heat and safely beginning to empty the contents of your inner pressure cooker. Because every feeling that has been suppressed is trying to vent itself, releasing is merely a momentary stopping of the inner action of holding these feelings in so you can allow them to leave, which you will find they do easily under their own steam. As you use the Sedona Method, you will discover that you will be able to be free to both suppress and express when it is appropriate, and you will find that you will more often opt for the point of balance, the third choice of letting go. This is something you already know how to do. Though you have probably become an expert at suppression and/or expression, even so, you are still letting go. True laughter, for instance, is one of the ways that you let go spontaneously, and the benefits of laughter in the area of health and stress elimination are well documented. Think of the last time you had a really good belly laugh. You may have been watching a funny program on TV or having a conversation with a friend and, all of a sudden, something struck you as funny. You felt a tickle inside, heard a guffaw come up from deep in your middle, and your whole body started to bounce up and down. As you laughed, you probably felt lighter and lighter inside and progressively happier and more relaxed, almost warm and euphoric. This is also a good description of what you may experience at times as you use the process described in this site. Although most of the time you won’t laugh out loud as you let go, you will often smile and feel the same sense of inner relief that comes from true laughter. Here is a small sample process that will give you a taste of the Sedona Method. 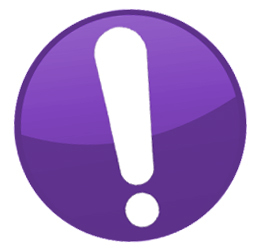 Get our email and video newsletters and special offers FREE! 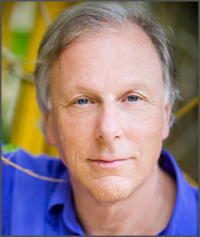 "Hale Dwoskin has succeeded in presenting a masterful healing system with a treasure of practical examples for bringing it to life. The Sedona Method contains many jewels of illumination that can take your life to the next level. Practicing these principles can bring you home. Here is a rare and useful manual for awakening." "A breakthrough book in terms of realizing your goals and dreams and living a life that is richer, more meaningful and much more enjoyable. And all without having to work so damn hard at it!" "Brilliantly simple and simply brilliant! The Sedona Method is a great resource for coaches, therapists, healers, managers, and anyone who desires deep, gentle change at a rapid pace." 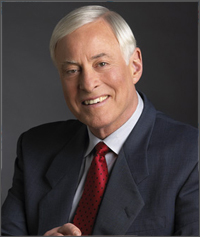 Brian Tracy, Author of Deals! "This is a powerful and profound way of achieving immediate and lasting improvements and breakthroughs in your personal and business life. Incredibly effective!"